Each January Catholic schools across the country join together to celebrate Catholic education. Catholic schools don’t just provide students with an excellent education; they also form students spiritually. However, not every family can afford to provide their children with a Catholic education. In 2012, through the efforts of the Virginia Catholic Conference and other school choice advocates, the General Assembly created the Education Improvement Scholarships Tax Credits program. This program allows individuals to receive a 65% state income tax credit on donations made to an approved scholarship foundation. This fall, over 80 low-income students entered Catholic schools across the Commonwealth thanks to donations received through the Scholarships Tax Credits program. If you would like to help a low-income student receive the invaluable gift of a Catholic education, please consider making a donation to one of the two Catholic scholarship foundations. Donations must be preapproved by the Department of Education, so contact the McMahon Parater Foundation, serving the Diocese of Richmond, or the Diocese of Arlington Scholarship Foundation for more information on how to make a tax credit eligible donation. 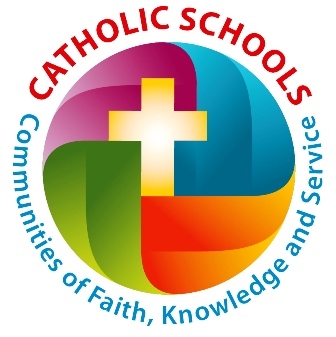 Happy Catholic Schools Week!